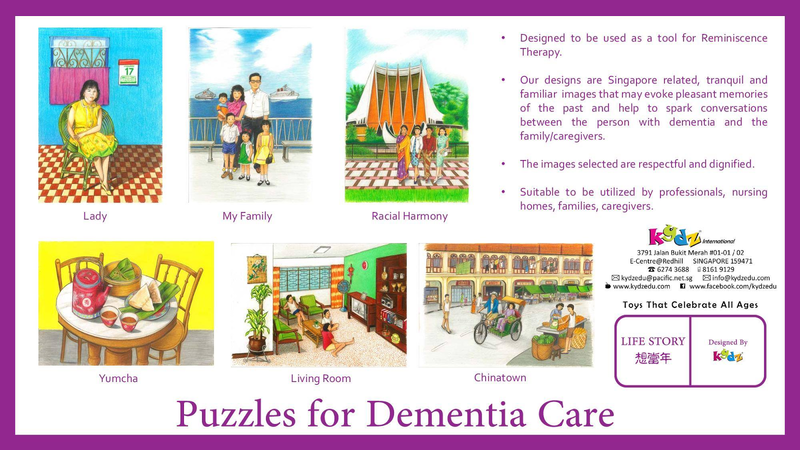 KYDZ International in Singapore has decided to produce "Reminiscence Puzzles" for those with dementia in their area. They have carefully chosen images that will appeal to senior citizens and bring pleasant memories back to them. 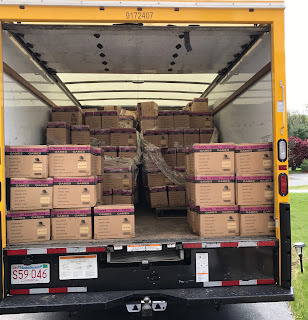 Ceaco Donates Puzzles Once Again, 426 of Them! 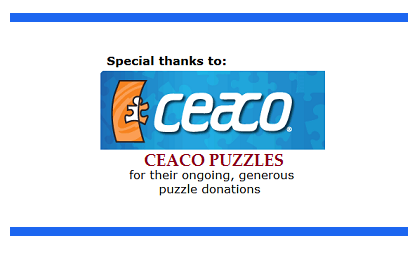 Once again, Ceaco Puzzles has donated puzzles to PuzzlesToRemember. 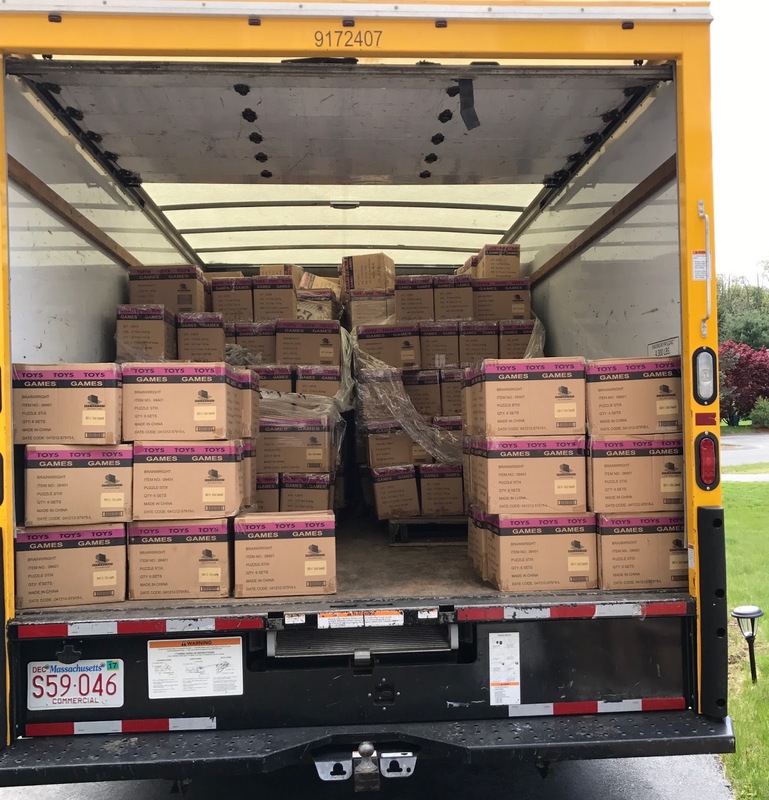 This time, they made a generous donation of 426 puzzles. 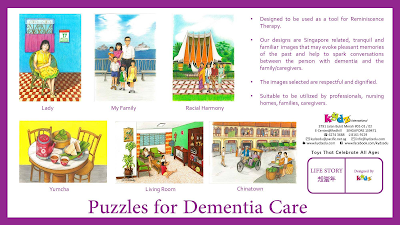 These puzzles will be supplied to nursing facilities that care for dementia patients. Thank you Ceaco! You have brightened the lives of many seniors with dementia. Hi Everyone! 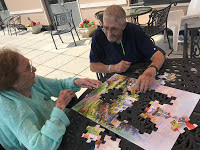 I would like to share my way of solving a puzzle with a dementia patient. There are many ways to solve puzzles. 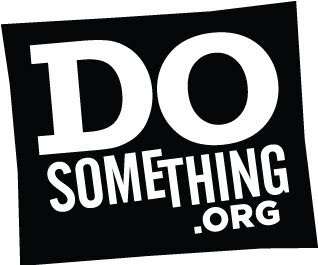 I am sharing a way that works well for us. If you have a special way of solving puzzles with your loved one, please share it! It would be nice to hear about different methods of puzzle-solving! 1. Select a puzzle with the correct amount of puzzle pieces for the loved one. I chose a puzzle with 36 pieces. Grandma has moderate dementia. Therefore, she cannot concentrate on puzzles with many pieces. 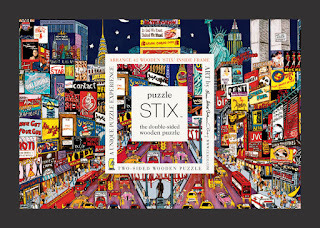 If your loved one has milder dementia he/she can solve puzzles with 100 pieces. 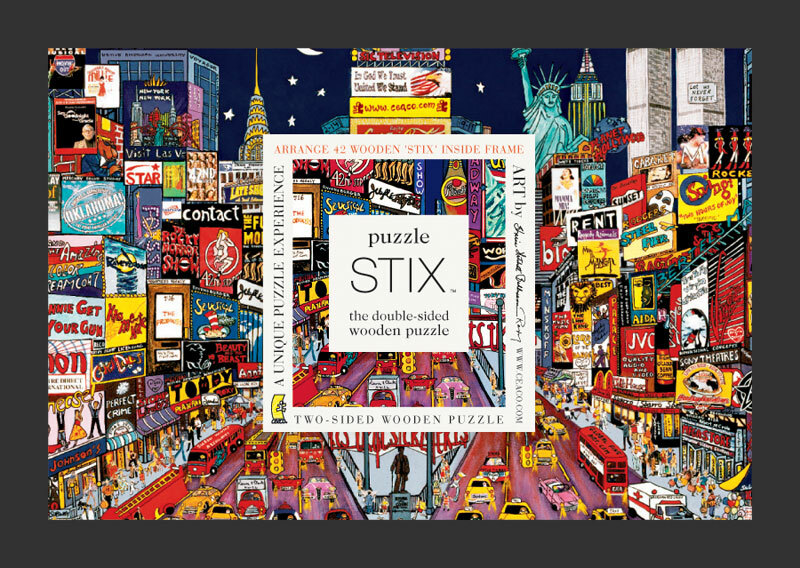 And if your loved one is severely impaired than he/she can solve 12 piece puzzles. Show the loved one the cover of the box. Have a conversation about the picture. See if it brings back memories. 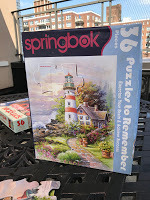 This puzzle pictured has a lighthouse. Grandma and her friend "Phil" really liked the image. I asked them what they think of when they see the picture. Phil said it looks like Maine. Grandma said it reminded her of Newfoundland, Canada. 2. Prop the cover of the box up, so the puzzle-solvers can view the image to help guide them with puzzle-solving. 3. Find the 4 corners for the puzzle. 4. 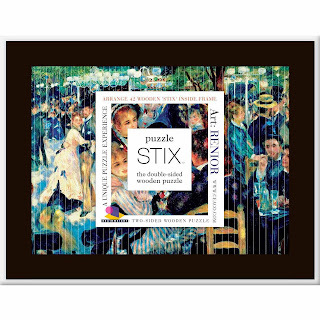 Find all the flat edged pieces for the frame of the puzzle. Put them in the middle. 5. Solve the frame of the puzzle. 6. 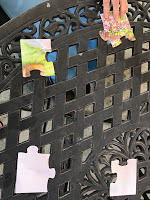 If the loved one needs assistance (grandma needs a little help) hand them a puzzle piece. Give a hint about where it may belong in the puzzle. I pointed to the image and "hinted" where the piece should go. Grandma placed it correctly after I helped her. She felt great! 7. 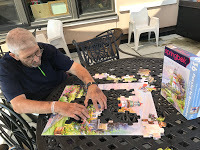 If the loved one has very mild dementia (like Phil) they can find the place for the puzzle piece without help. You can see if the person needs help or can work alone. 8. If possible, have the person work with someone. 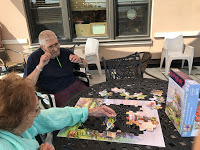 Phil and grandma enjoyed socializing while solving the puzzle. It helped "break the ice". 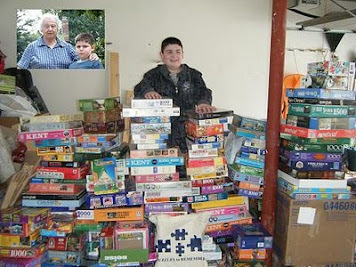 Ceaco has donated a very large number of puzzles to PuzzlesToRemember. 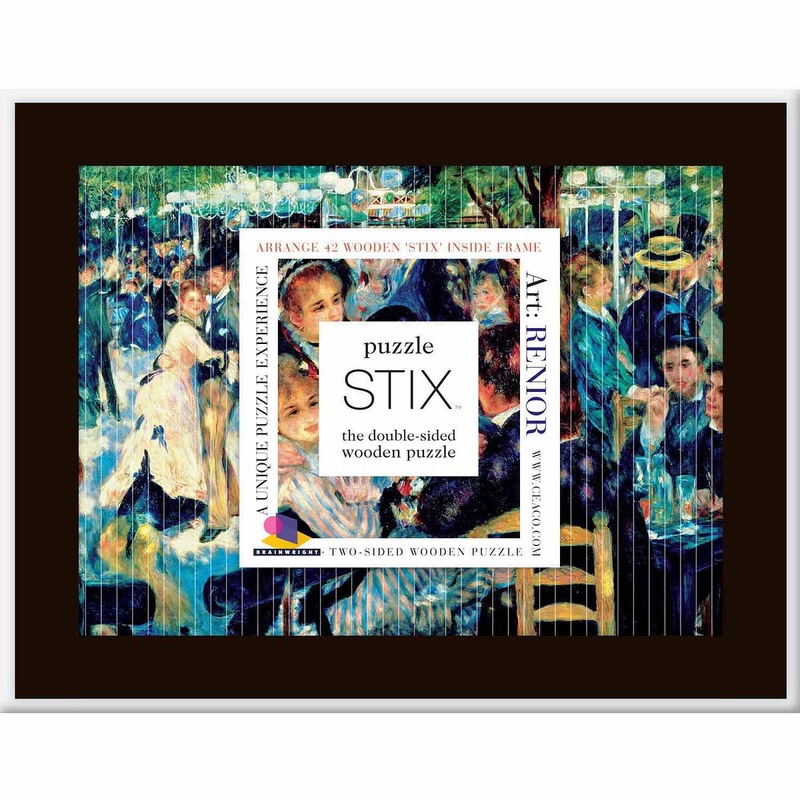 These puzzles, all 42 piece wooden puzzles, will be distributed for dementia patients and their caregivers. Memory cafes in Massachusetts are being contacted to see if they wish to receive these puzzles for their participants. 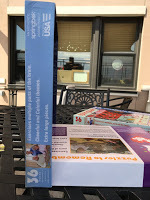 Puzzles To Remember Has Donated Copies of a Book Written to Explain Alzheimer’s Disease to Children to Edison Home Health Care. 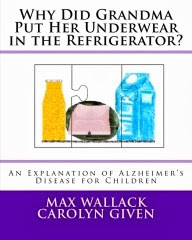 The book, “Why Did Grandma Put Her Underwear in the Refrigerator, An Explanation of Alzheimer’s Disease for Children” was written by Max Wallack and Carolyn Given. 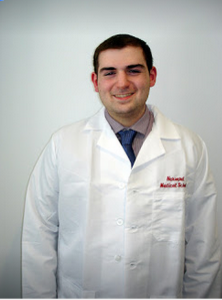 Edison Home Health Care is a fully insured, full-service, home care services agency, licensed with the New York City Department of Health. Edison is Joint Commission-accredited —widely recognized as the highest standard in healthcare accreditation. Edison is committed to providing quality care to the elderly and disabled all across New York State — from New York City, Long Island, Westchester, Buffalo, Rochester, Syracuse, and Albany. With over 40% of its patients living with some form of Dementia, Edison Home Health Care proudly instructs its caregivers with special Alzheimer’s training with Teepa Snow’s positive approach to Alzheimer’s and Dementia. Edison stands side by side in the fight against Alzheimer’s. 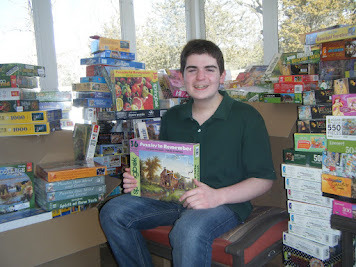 PuzzlesToRemember has now distributed over 70,000 puzzles. Many young people have helped in this distribution. 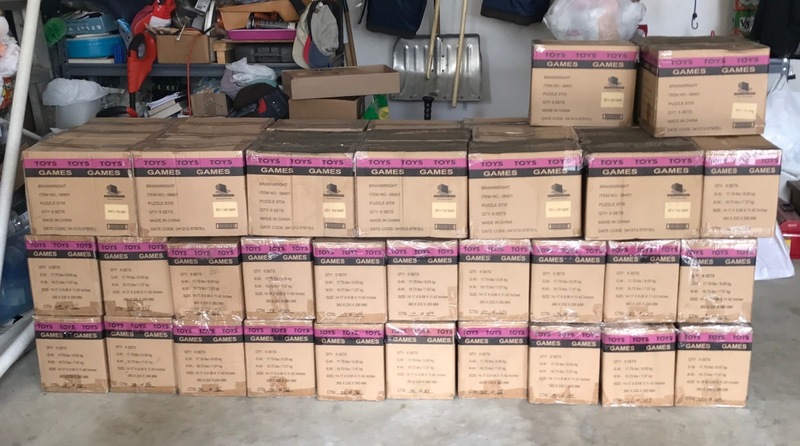 Most extraordinary, though, has been Hailey Richman's donation of time and efforts to help find the right homes for donated puzzles. 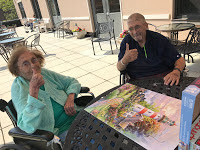 These puzzles have gone to Alzheimer's Units, Assisted Living Facilities, Nursing Homes, Memory Cafes, and other similar organizations. Many seniors will be able to spend their time engaged in helpful, calming activities. 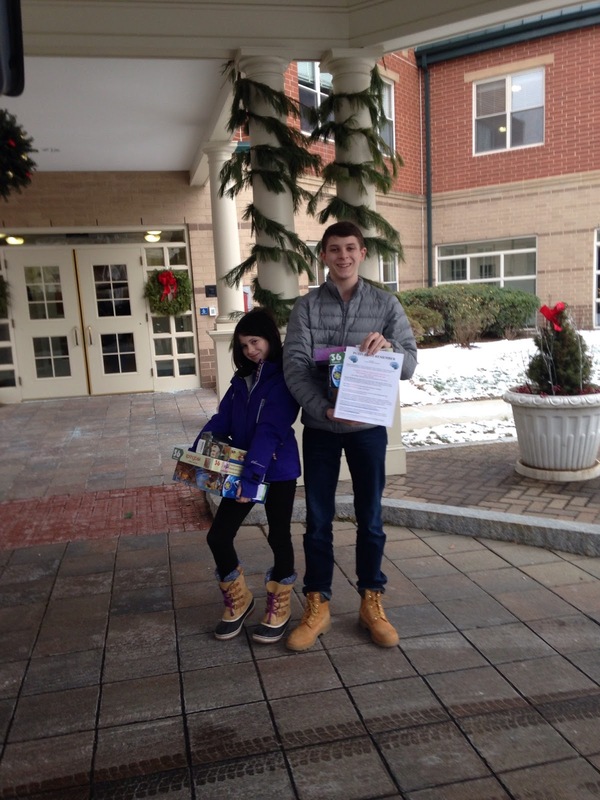 A Big Thank You to Ethan and Lily of Sudbury MA for spending so much of their winter school vacation delivering puzzles to over a dozen nursing facilities. Over 500 seniors will have access to puzzles to keep them happily occupied during snowy days.